Spring is here! Or at least it is right around the corner. Utah can’t seem to decide. 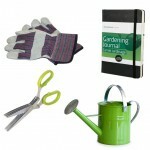 Soon we will all be outside preparing and planting our flowerbeds. Before you run to the nursery, I thought I would share my favorite perennials. Perennials are plants that come back every year. 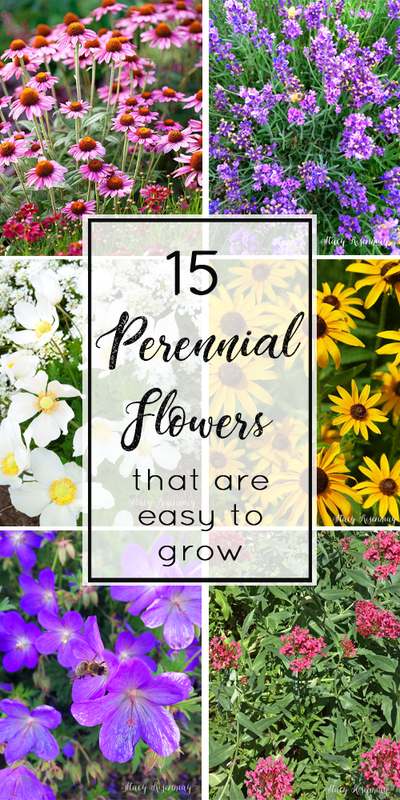 Here are 15 perennials that are easy to grow! I love these purple spikes! They are one of the first plants to flower in my beds after the tulips have faded. 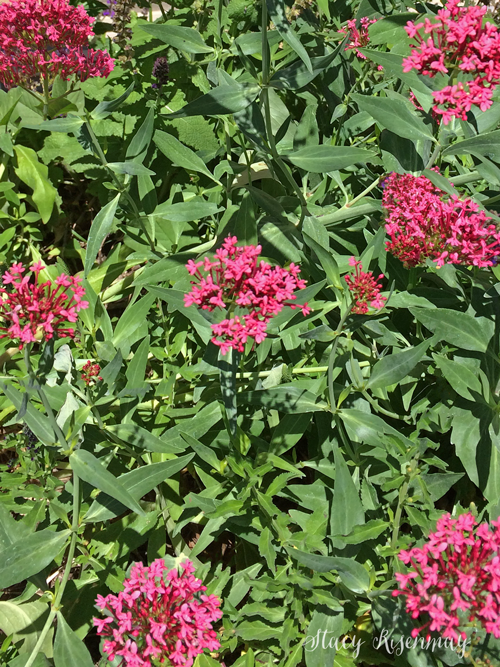 This perennial does well in hot and dry places and prefers the sun. It will also tolerate part sun. It attracts butterflies and bees and will grow 1-2 feet tall. Peonies are a favorite of mine for many reasons. They smell amazing and make a great cut flower. They get about 3 feet tall, prefer sun (but can also grow in part sun), and are deer resistant. 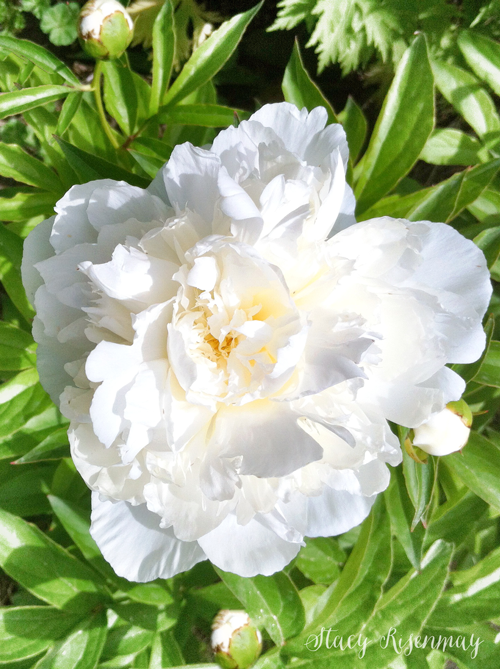 Peonies can be red, pink or white. 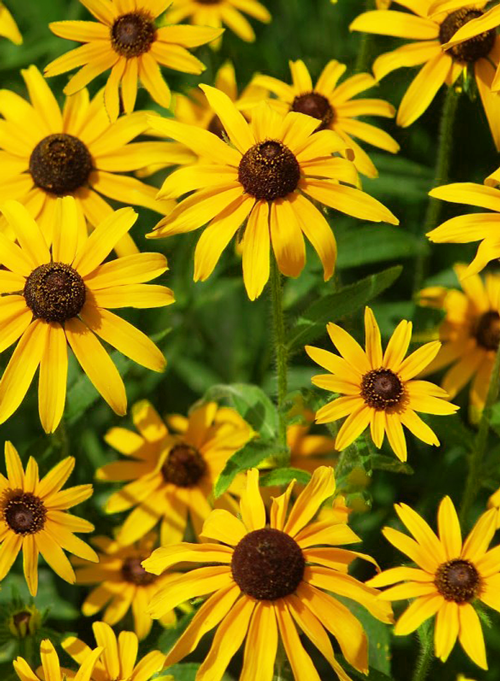 Black Eyed Susan plants are a classic! They bloom from June to October and attract butterflies. They grow up to three feet tall and can spread a little. This perennial prefers full sun but will also grow in part sun conditions. 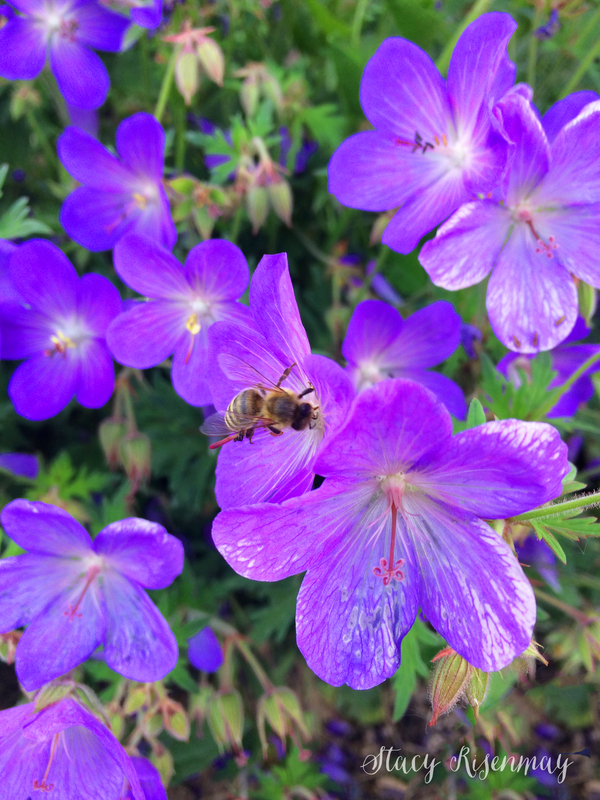 Blue Geraniums grow to about 1-1.5 feet tall and spread out about the same width making them look almost bush like. After they are done with their first bloom in the early summer, I like to cut mine back a bit. They will bloom again later in the season. If I don’t trim them, they can get kind of wild looking and cover some of the shorter flowers planted in front of them. Blue Geraniums are deer resistant. 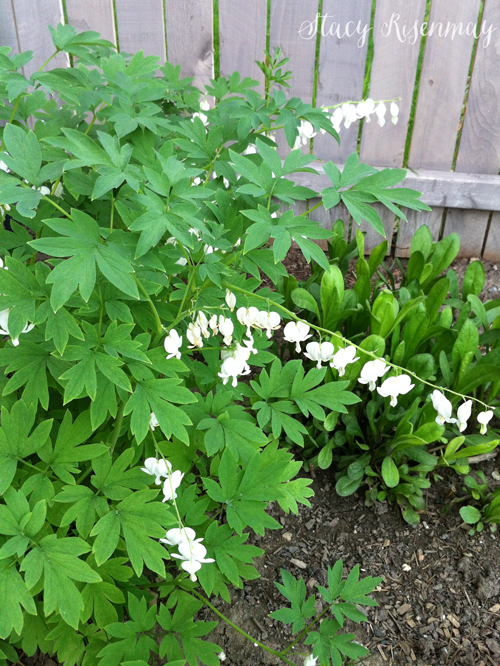 Who doesn’t love the delicate heart shaped blooms of the Bleeding Heart? I have white ones but they come in red and pink as well. They bloom in the early spring and love the shade. They get about 1-3 feet tall and are deer resistant. 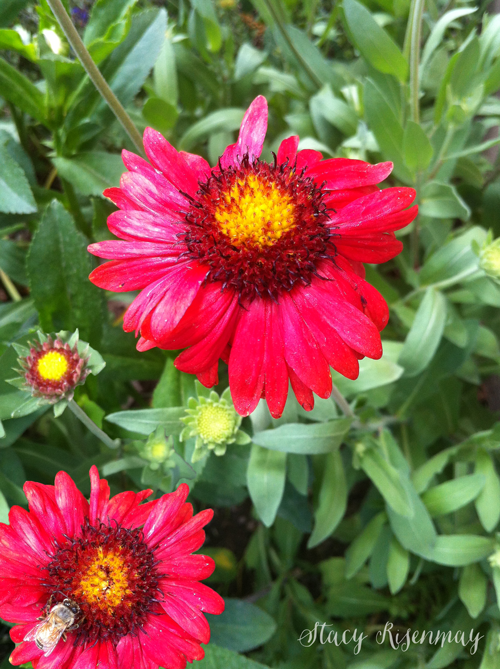 I have had Blanket Flowers in my yard since we moved in. I love that they come in a deep Burgundy, red, and reddish-orange with yellow. Mine have only ever gotten to be about 1 foot tall but some varieties can get taller. They are deer resistant and drought tolerant. Make sure to deadhead them often to get the most blooms for your buck. 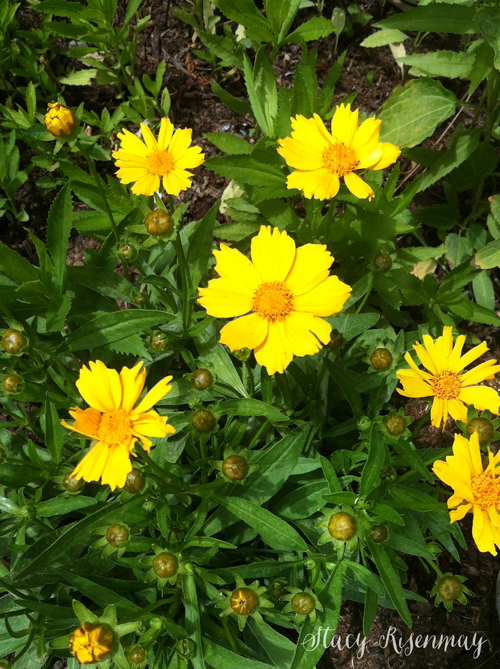 Also called Tickweed, this sunny yellow (and sometimes other colors) flower grows 6-12 inches tall. Some varieties get even taller. 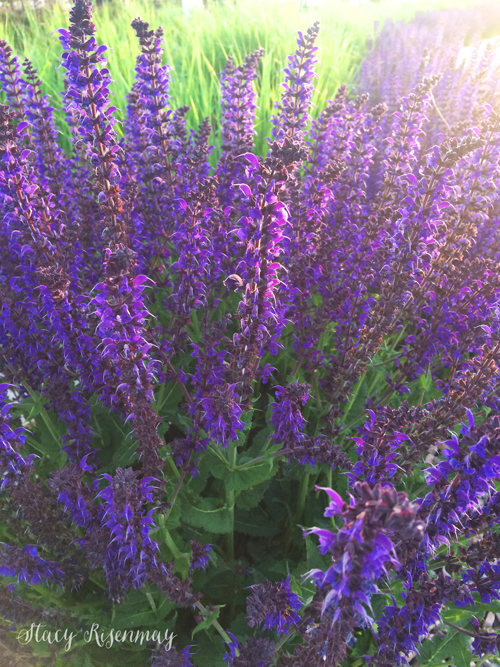 This sun loving perennial is drought tolerant and deer resistant. 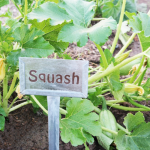 It can grow in poor soil conditions. I first fell in love with Cadytuft when I created my secret garden and used it along the path. 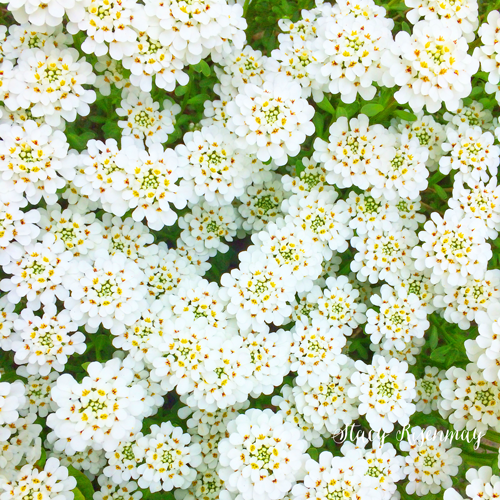 It is a spring bloomer and will sometimes bloom a second time later in the season. 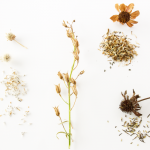 It is best to cut it back after the first bloom or it can get woody and spread out. 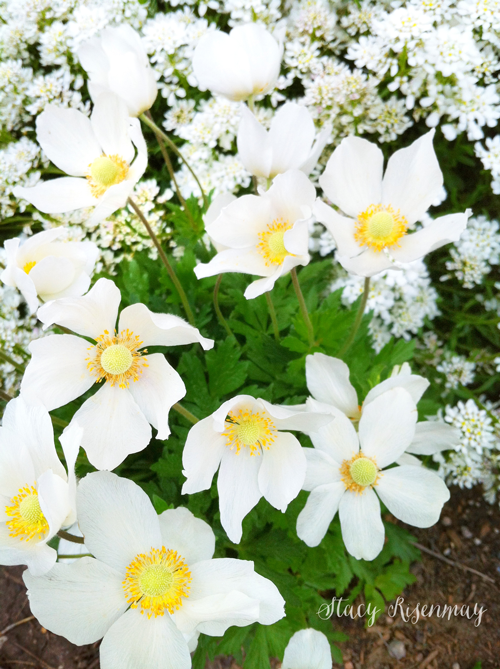 This sun loving perennial can grow in rocky soil making it great for rock gardens. It does not tolerate wet soil so it needs good drainage. I ordered these from a gardening catalog where the photo showed them as red. At first I was disappointed when they bloomed and were a hot pink color, but now I love the fun, bright color. They grow to about 1.5-2 feet tall. Their leaves are fern like. 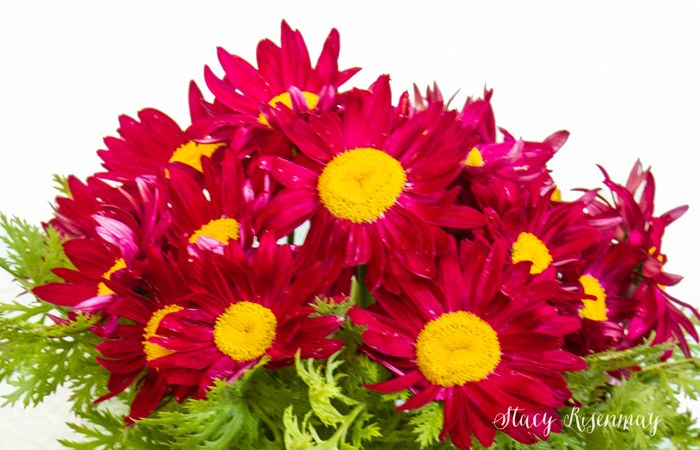 The Painted Daisy flowers love full sun and bloom in the late spring. Once they are done blooming, I cut them stems off and leave the bushy leaves. 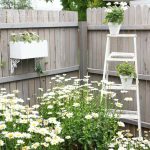 Painted Daisies are a natural insect repellent. 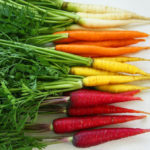 In fact, when dried, they are used in organic pest control. 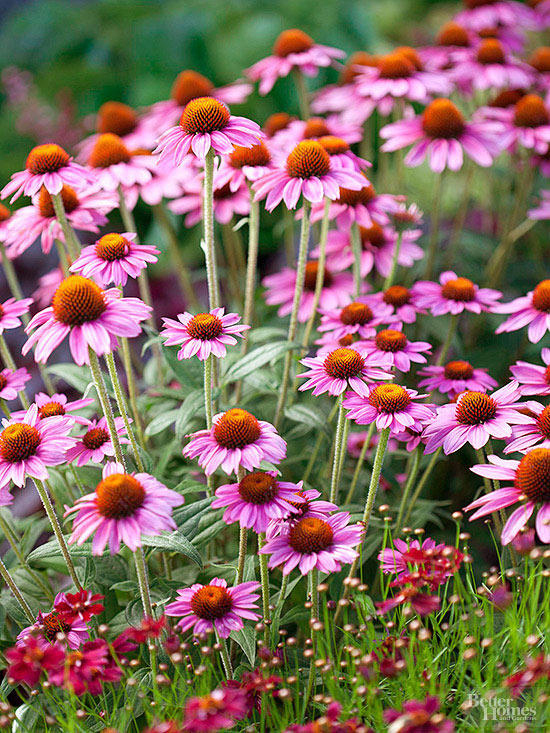 Cone flowers come in a lot of different colors. They grow 1-3 feet tall and love the sun. They are deer resistant and drought tolerant. The craziest thing about this plant is that it actually prefers poor soil. 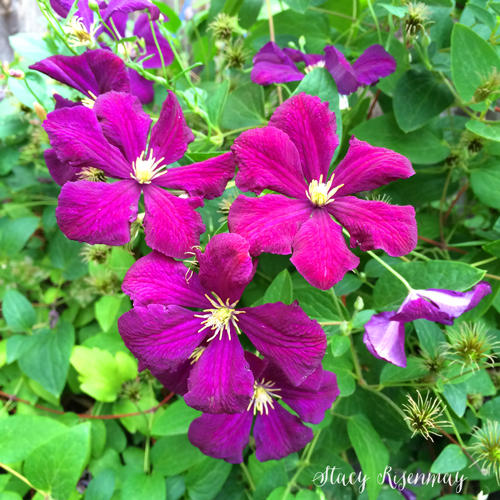 I adore Clematis! We had a purple one in our front yard when I was growing up (it is still there in fact) and it was always one of my favorites. It is a vine and depending on the variety can grow up to 12 feet. 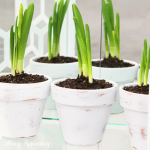 The most important thing to remember with this sun loving plant is that the roots need to be kept cool. Plant low growing plants around the base and/or use mulch. Since it is a vine, it will need a trellis of some kind. I love this delicate flower! It comes in other colors and grows to be between 1-2 feet tall. It is deer resistant. This flower blooms in the spring. The Japanese type is a Fall bloomer. It prefers full sun but can also grow in part sun. This is a pretty new addition to our flowerbeds. It takes up a lot of space so it you have some gaps you need to fill, these would be great. They grow 1-3 feet tall and about that wide. They tend to spread (via seeds) so keep an eye on them. Dead head them for more blooms and to reduce the spreading. They love sun and are deer resistant and drought tolerant. These are the tallest flowers in my flowerbed. Mine get between 3 to 4 feet tall. The are plastered in blooms from spring to frost. Golden Sundrops like sun but can grow in lowlight conditions as well. They are deer resistant as well. Lavender is best known for it fragrance. 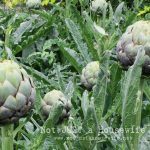 It grows to be 1.5-2 feet tall (some varieties can get taller). It attracts bees and butterflies and loves the full sun. 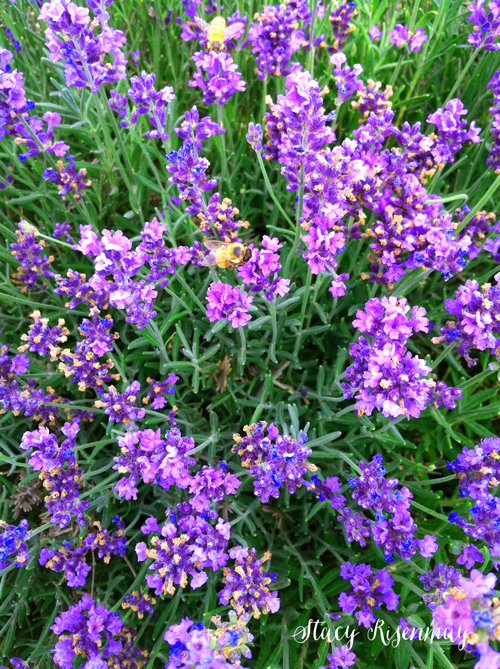 Lavender prefers dry soil and hot weather but can be grown in more cool climates. I would love to hear what your favorite perennials are. 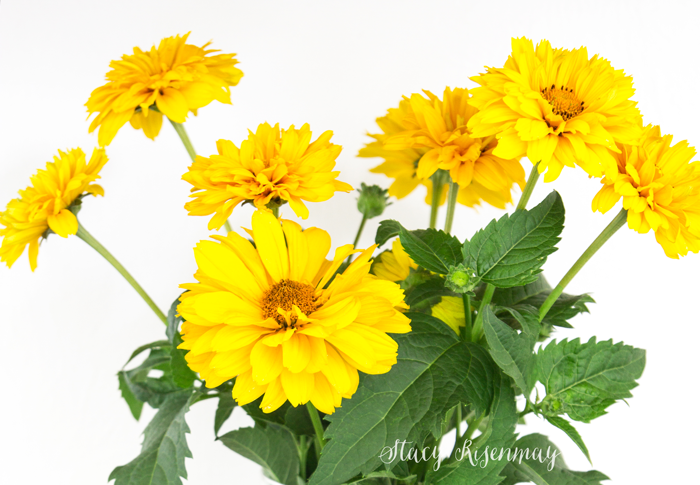 I am always looking for more easy flowers for my yard. Leave your thoughts in the comments below! Thanks Stacy! 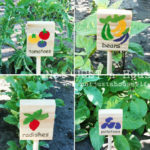 I’ve been thinking about trying some perennials and these look great! Thank your so much! I have any area in front of the house where two boxwoods next to each other have died (too much water gets there in the winter), but I still have two boxwoods that are thriving a few feet away from them. It’s very lopsided now. I’m thinking of taking out the remaining boxwoods and planting a bunch of perennials, but had no idea where to start. It can be a bit overwhelming. Thank you so much for this very helpful information. This area faces east and gets full to partial sun.